Biodynamic psychotherapy is an integrative bodypsychotherapy. Its worldview indicates the orientation and the core values shared with the Humanistic and Integrative psychology, that humans have within themselves an essential centre that 'knows' and that the Biodynamic psychotherapist supports the clients to contact with their own essential core. It has its roots in humanistic philosophies and aims to work with a full range of influences to encourage the development of the individual, their relationship to others and to society. 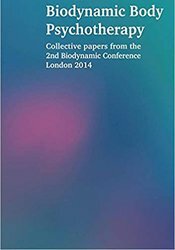 This book contains papers from the speakers at the 2nd Biodynamic Conference, London 2014. The Centre for Biodynamic Psychotherapy (Cbp) provides full professional training in Biodynamic Psychotherapy in the London School for Biodynamic Psychotherapy (Lsbp), leading to the Diploma in Biodynamic Psychotherapy, recognised by the Ukcp.